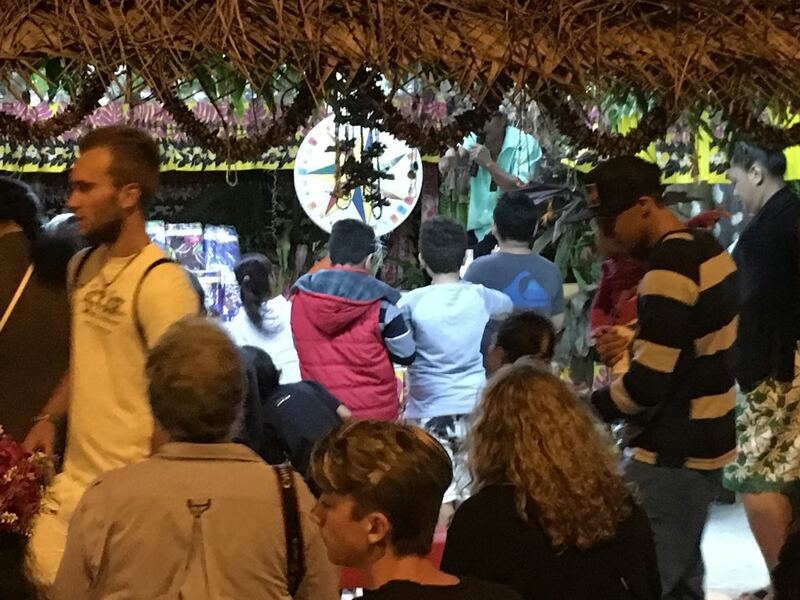 As the French government relaxes its restrictions on Polynesian culture, the Heiva has resumed its importance in the country. 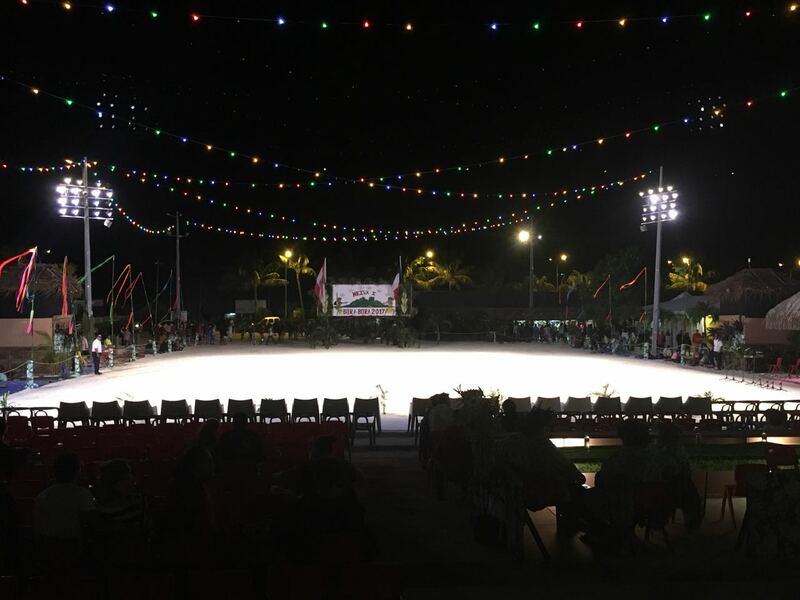 The Heiva is the major cultural festival of the country and is held for almost two months each summer. The main components are dance and singing, although there are components of many traditional skills. 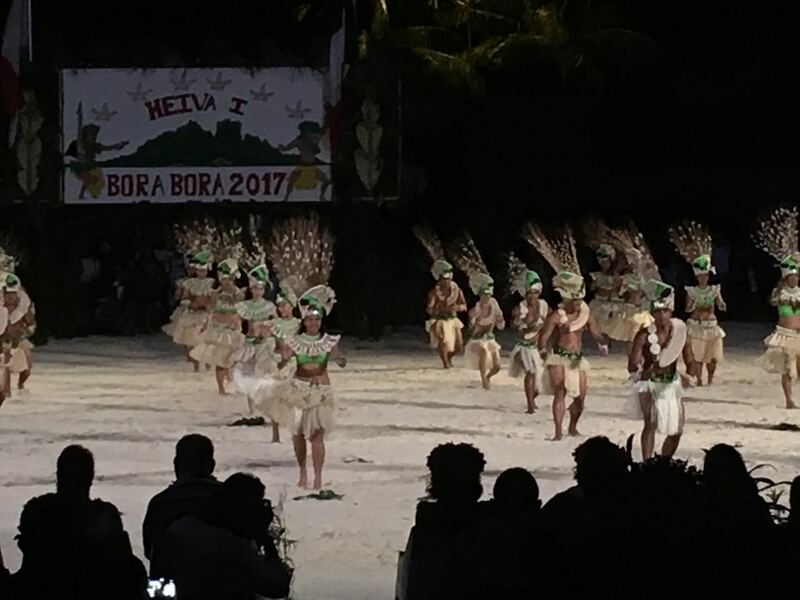 On the night before Debbie and Philippe departed, we were fortunate to have the opportunity to witness one night of the local Bora Bora Heiva. Of course the photos can do no justice to the beautiful people and costumes, but it's what I can offer. Seeing these costumed women began our search for tickets and excitement about seeing the Heiva. This "barker" was creating quite a stir as he hawked his wares and game. What color! 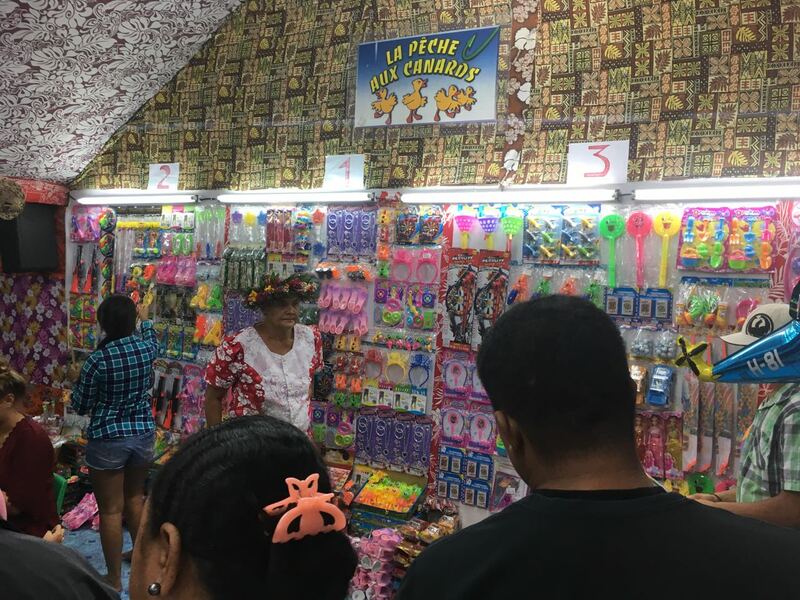 This is a booth that sold typical carnival crap, but different crap than one might see in the US. From our spectacular seats, this is the presentation/dance field. 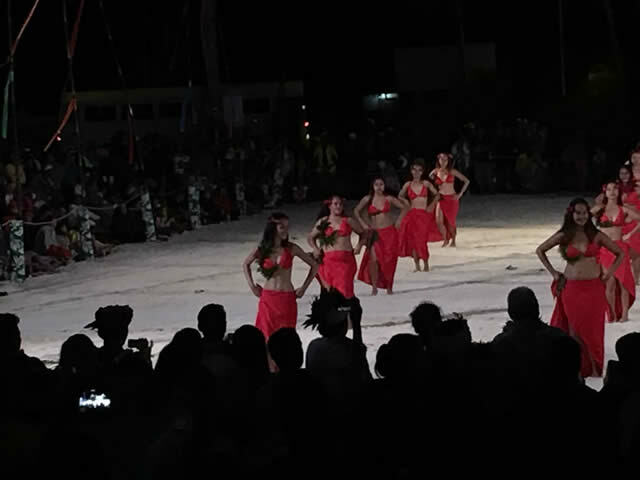 These are male dancers, displaying more physical dances. They slapped knees and a major dance move was a semi-squatted swinging of knees inward then outward. It was mesmerizing to see this large group who's knees were swinging in coordination. The women were, of course, lovely, and their dances were extremely complex, incorporating both individual moves of hands, arms, feet, and body, but including complex and intertined group moves. 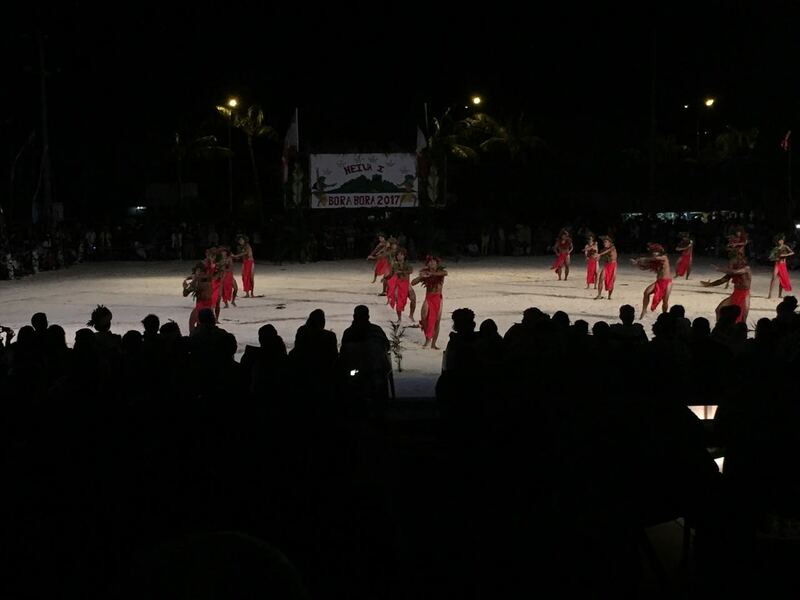 We had been told that the groups practice year-long, and the performances that we saw attest to that. 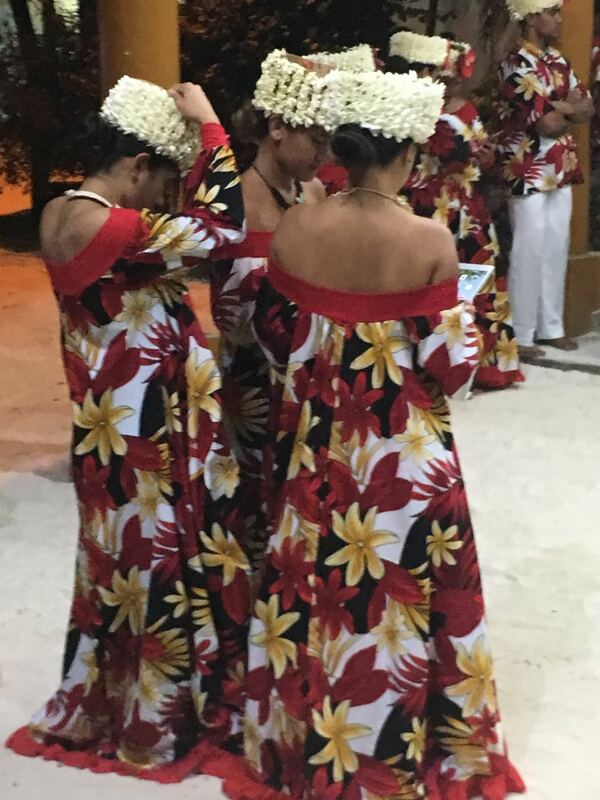 The final dance included both males and females, each wearing these delicate-looking headdresses. 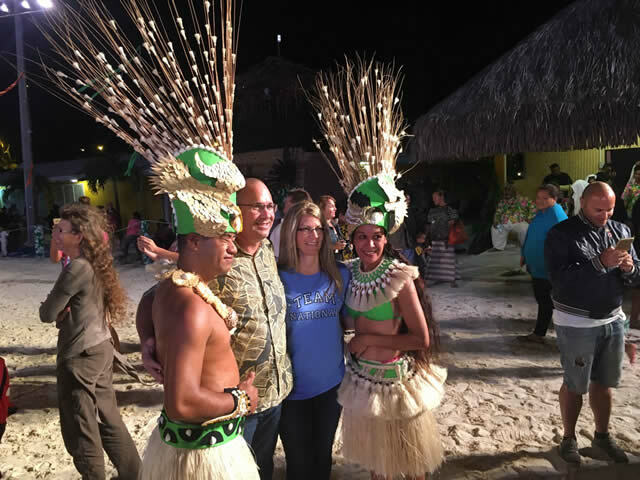 After the dance, group members intermingled with the audience. The costumes and headdresses are spectacular.